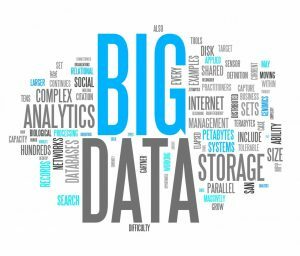 The Big Data topic is attracting massive interest from various sectors such as finance, health, IT and more. Most people are aware that many companies obtain and store information about them on specific fronts. Due to increased digitalization, we are leaving digital footprints everywhere. When this information is collected and properly analyzed, it can show likes and dislikes of a particular user, the places one likes to eat, what types of shoes or clothes a person loves, whether they are at risk of getting sick and so much more. However, when people think of big data, the question of how big is big data usually arises. To put things into perspective, we can look at some statistics that show what big data sifts through – there are over seven billion searches on Google every day; 35% of the world’s pictures are saved on Facebook; 390 million tweets per day and so on. So, how does this collection and assessment of data change the world around us? Big Data has significant applications in matters pertaining security. Information is everything to law enforcement agencies from the lowly cop to the national organizations such as the NSA or the GCHQ. Since these organizations have unfettered access to vast amounts of data, they analyze and use it to unravel terrorist plots, catch criminals and save lives. For instance, there is an algorithm that has been made to identify people simply by their gait while walking and is shockingly accurate. All this can be achieved by leveraging big data. Also, massive data leaks such as it were the case with Snowden has caused institutions to revise their security protocols and how their data is stored. Marketing today is not the way it was a couple of years back. In the past, we saw advertising companies placing their ads on TV and newspapers and hoping the right client will see and reach out to them. However, with the invention of social media, companies are using a more targeted approach. Instead of showing the same things to everyone, they use available data about an individual user to create an ad that directly touches the individual. This tactic has not only proven to be more superior but is also reaping companies incredible profits. Without the power of big data behind the company, they could not be able to pull off such a feat. In the manufacturing industry, engineers are all about efficiency. Making machines and processes as smooth as possible is not an easy task, and that is why it needs a lot of data to pull off. Every product and process is supplying rich data which smart organizations use to streamline its processes. By analyzing data from these processes, management extrapolates information such as the hardest tasks, the biggest hindrances to a particular process and from that standpoint make the necessary changes to improve output and profitability. Big data is certainly making many changes to our world and helping us to solve issues that have been there for the longest time. By embracing big data, a business can not only figure out where it is going wrong but also to identify where there is a promise of growth and efficiently act on the information. At Pyrumas, we understand how to convert available data into useful information and are willing to partner with your business to take it to the next levels of success. Write to us at sales@pyrumas.com for your big data requirements.